With the Micro Mini Sew A Long in the second week, there have been over 200 posts on Instagram showing some amazing creations and adorable minis!! 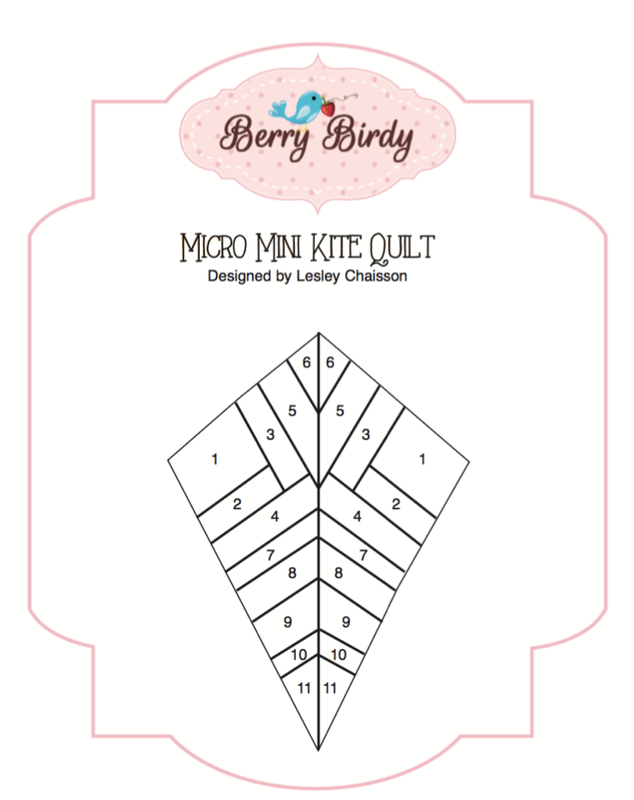 I posted this kite quilt today, and have had requests for the pattern, so here it is! You will want to drag it from here and put it on your desktop so that you can print it. You may have to adjust the sizing when you do so. 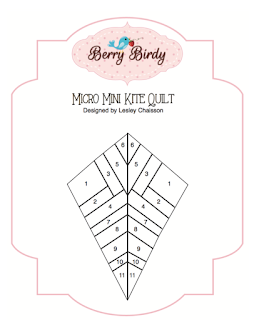 The kite is supposed to measure 4 1/2" high, in this pattern, but of course you can make it any size you wish! I'll be making this as a cute little ornament for my new baby nephew's 1st Christmas gift!! !